Counter Claim—A counter claim by defendant with respect to an independent property with which the plaintiff has no concern is not maintainable. Written Statement—Admission—It cannot be presumed that the content of the written statement to be a deemed admission. Comments Off on Counter Claim—A counter claim by defendant with respect to an independent property with which the plaintiff has no concern is not maintainable. Written Statement—Admission—It cannot be presumed that the content of the written statement to be a deemed admission. Counter Claim—The cause of action in respect of which a counter claim can be filed, should accrue before the defendant has delivered his defence, namely, before the defendant has filed a written statement. Comments Off on Counter Claim—The cause of action in respect of which a counter claim can be filed, should accrue before the defendant has delivered his defence, namely, before the defendant has filed a written statement. Adverse Possession—Plea of adverse possession by way of counter claim seeking declaration is not permissible. Comments Off on Adverse Possession—Plea of adverse possession by way of counter claim seeking declaration is not permissible. 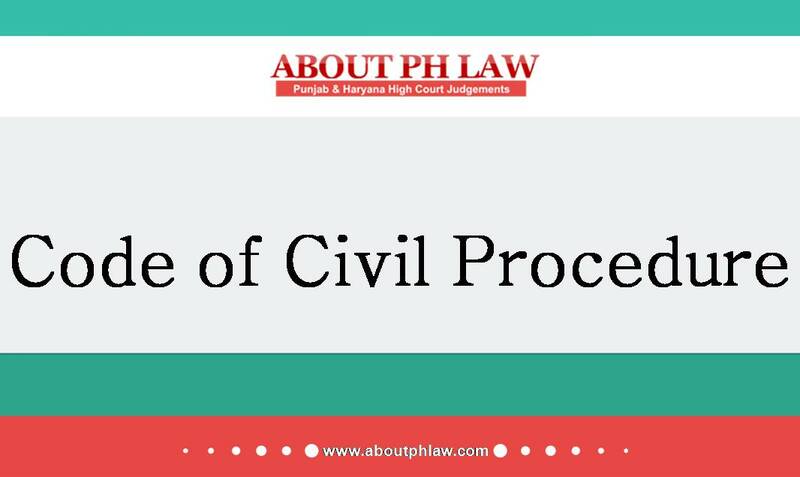 Civil Procedure Code, 1908, O.8 R.6-A–Counter Claim—If the cause of action has accrued to the defendants/counter claimants before filing the written statement, counter claim filed even after filing of the written statement will be maintainable. Comments Off on Civil Procedure Code, 1908, O.8 R.6-A–Counter Claim—If the cause of action has accrued to the defendants/counter claimants before filing the written statement, counter claim filed even after filing of the written statement will be maintainable.